Facilitates energy balancing and cleansing. Refills, protects and repairs aura tears from too rapid emotional or karmic release. Protects against psychic attack, psychic draining or energy infusion from others. It is very calming. Amber has an amorphous crystal system. This means it started as a tree resin that has aged during the course of millions of years by losing water and is then very gradually mineralized. It is an organic gem and can be a milky white, golden yellow, brown or red depending on the type of tree that gave it its start. It is generally found within in brown coal deposits. 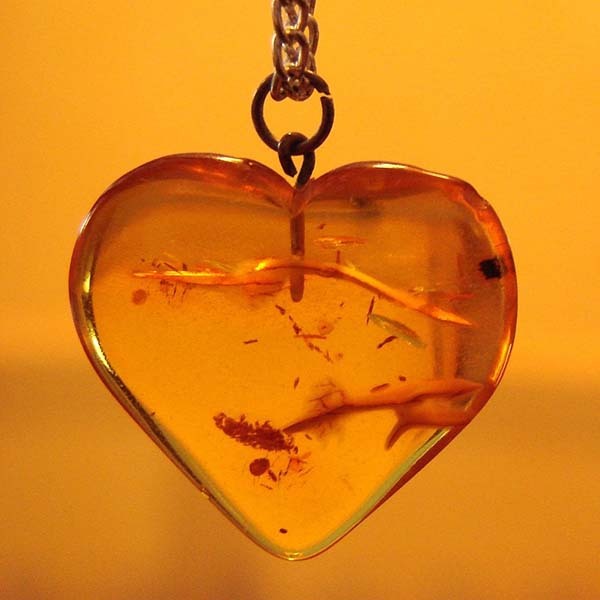 The first precious stone in human history, Amber has been used as a healing stone and amulet for at least 7,000 years. I have found it to work best if it is worn frequently and for long periods of time. Amber encourages a 'sunny' nature that appears gentle and pliable but is actually very self-confident. It encourages you to be spontaneous and open and still hold respect for tradition all at the same time. Amber bestows freedom from care, good luck and happiness. It enables the wearer to be peace-loving and trusting while strengthening self-belief. It is a source of easily obtained success. Amber dissolves oppositions and makes us more flexible and encourages creativity. Motivation will rise to assist personal wish fulfillment. 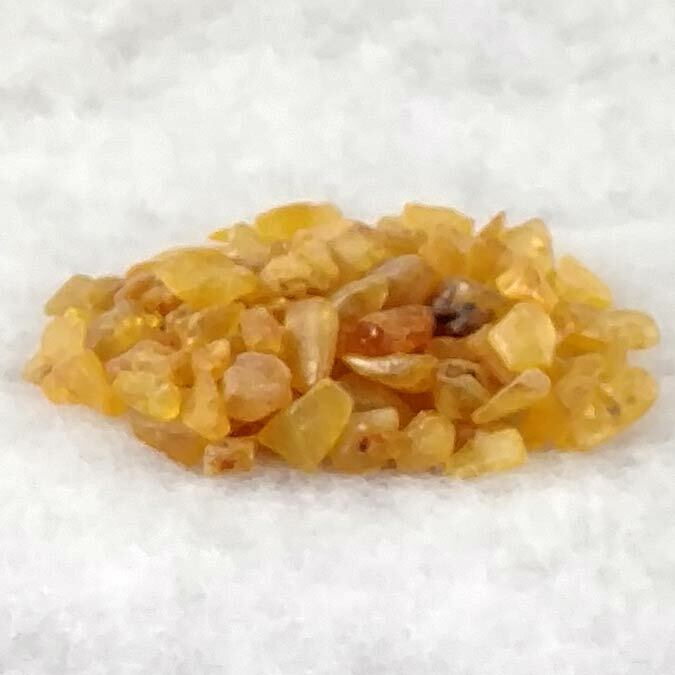 Amber aids the stomach, spleen and kidney as well as liver, gallbladder and metabolically based skin complaints. It aids joint problems (buildup of cartilage), fortifies mucous membranes, enhances the healing of wounds and can alleviate teething pain in small children. Amber has a special affinity with Leo, Virgo and Capricorn, although it benefits all signs. Amber is recommended for chiropractors and masseurs. Its Energy is Projective, Planet is the Sun, and Elements are Fire and Akasha. Amber folklore is extensive, probably because the stone has been so plentiful. My favorite is an explanation from Nicias a Greek poet who described it as being the 'juice' of the brilliant rays of the setting sun that were congealed in the sea and then cast upon the shore. Other Greek poets claimed that grains of Amber were tears shed over the death of Phaethon by the Heliades after they had become poplars growing on the banks of the Eridanus. What ever its origin, I find it just 'feels good' to be wearing and is one of my favorites.